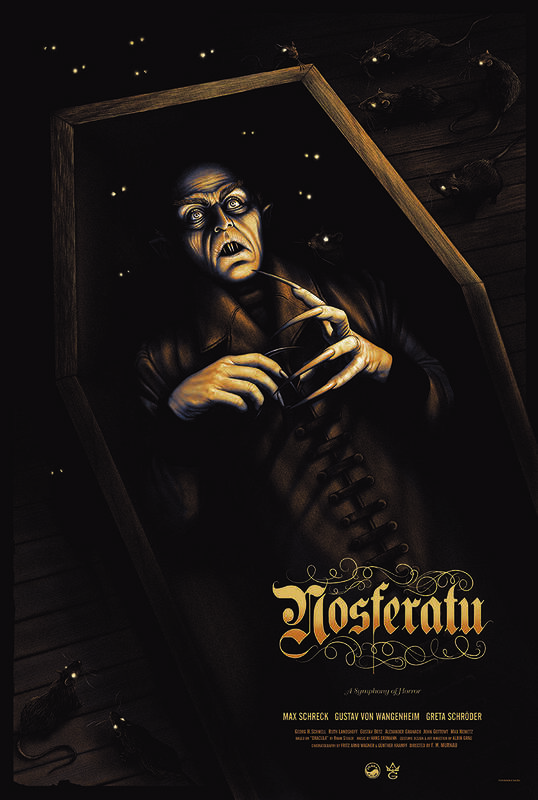 Grey Matter Art will release a new poster by Sara Deck for Nosferatu tomorrow. 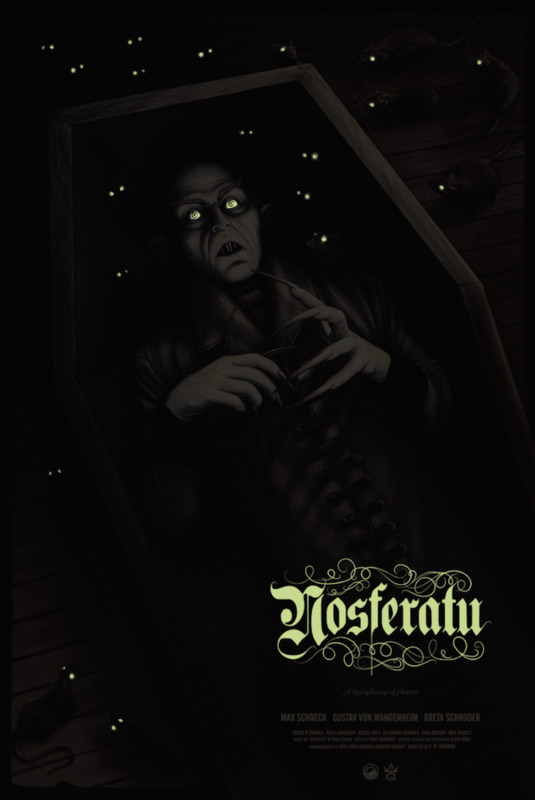 It’s a 24″ x 36″ glow in the dark screenprint, has an edition of 150, and will cost $45. It goes up tomorrow (Thursday, February 15th) at 1pm Eastern Time. Visit GreyMatterArt.com.